Unlike many lawyers, we do look at your short summary of your case for free to get a sense of what the case is prior to setting an appointment. This will let us know, for example, whether we accept that type of immigration matter, and whether there may be complications such as prior immigration violations. That short communication is not intended to be a full analysis of the case, nor legal advice, nor does it create an attorney/client relationship. We will then set up a meeting with you for as much time as needed up to one hour for a more detailed analysis. Obtaining a proper detailed legal analysis of your case is key. It will determine how you proceed from there, if at all. We will offer our opinion of the case, and you and we will each decide if we think we’re a good match to create an attorney/client relationship. 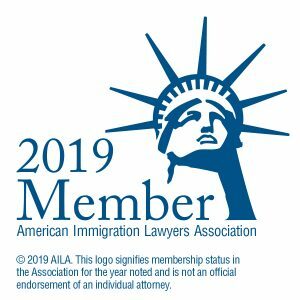 Note this is not just an intake process with an assistant; it is a detailed discussion with an experienced immigration attorney. No attorney/client relationship is established until the written engagement letter is signed and initial payment made. There is a non-refundable fee for the detailed initial meeting. This fee is to reserve your appointment time with an attorney. Any change or cancellation of your appointment must be done at least 48 hours prior to the appointment, or we must still charge for the time that was reserved for you. If you and the attorney agree within 7 days of the first appointment to proceed with the representation, then in a flat fee case the fee paid for the initial meeting will be counted toward the total fee. The initial meeting in that event ends up being free. For cases charged on an hourly basis, the first hour is simply counted as one hour. Immigration cases are highly complex, and immigration law is highly technical; the attorney will conduct a review and legal analysis of the information you provide at the appointment and offer you an honest opinion. No attorney can guarantee the answer will be the one you want to hear. After the meeting, you are under no obligation to engage the attorney to proceed with your matter, though the fee for that meeting must be paid. The attorney is under no obligation to accept your case, and no relationship is created between us until an agreement is signed stating what is included in the representation and the terms, and initial payment is received. No additional research will be conducted prior to or following the initial meeting except by agreement, in which event it will be billed at the hourly rate in effect at that time. If you and the attorney agree to go forward, we will both sign an engagement letter for your specific case that will state what the representation covers, and contains additional terms. We look forward to helping you get the most detailed analysis and honest legal opinion to assist you in your decision making.